For years, sound design and post production professionals have been waiting for a subharmonic synthesizer plug-in that delivers the earthshaking sound of hardware. The wait is over. 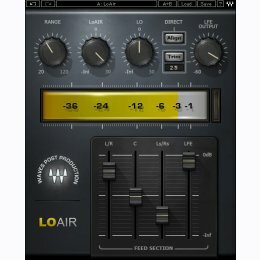 More than just a subharmonic generator, LoAir features adjustable frequency and low-pass filter controls to shape your ultra low-end. Plus, it’s the only subharmonic plug-in available which lets you process polyphonic content, as well as create an LFE track from stereo or 5.0 sources.